You know the drill, get the kettle on, pull up a pew……its cuppa and a chat time. This post was inspired a few weeks back, as there was a bit of negative energy around the bigger bloggers on twitter. There has been a lot of rumblings that bloggers are all self indulgent, self servicing, and constantly trying to sell sell sell to the masses. (We all remember the Zoella drama at Christmas too, right)? This post is not about “influencer marketing’ but more the way we view ourselves as bloggers. In my case, very few of my friends etc know I write a blog, because I feel a little embarrassed. I personally think the negativity this industry attracts is unfair, but thought we could discuss! Lets chew the cud my lovelies…. As I have said before, I write my blog, first and foremost, because I love to write. It was started as I was doing a writing qualification, and our tutor told us we must write as often as possible, daily being the ultimate goal. 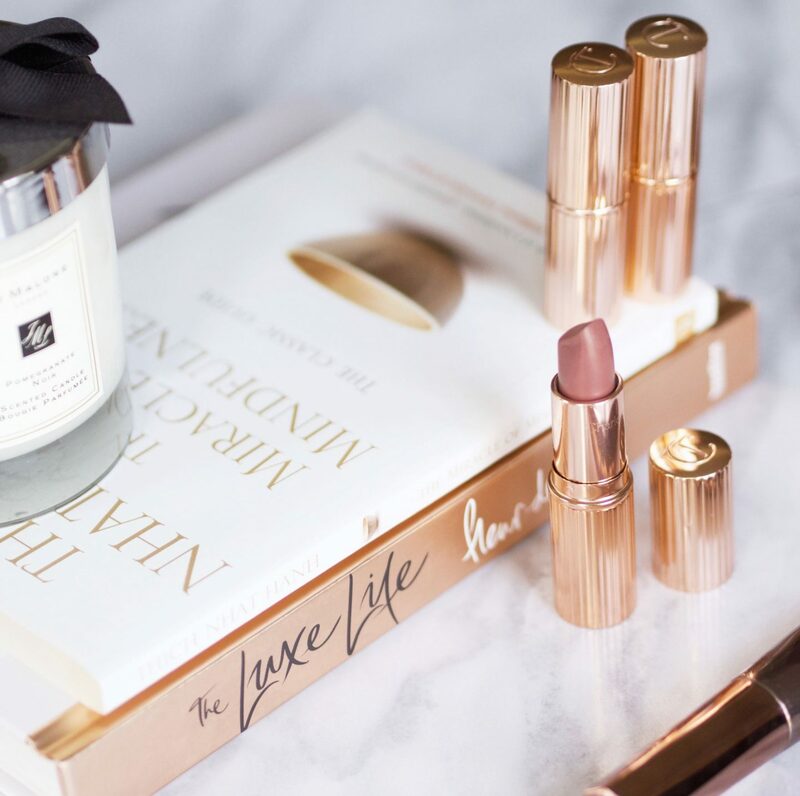 I have been a reader of blogs for many years, so thought blogging would satisfy my desire to write, and I could combine it with my obsession with make up. Job done. But, when I think about it, what makes me think that what I have to say is of value? Im a beauty/lifestyle blogger, but what makes me think that my opinion on a certain foundation or skincare item should be valued? Why does my suggestion on what mascara to buy hold any weight? Am I full of self importance? Do I think Im an expert? Well, no, but I do think that I can give honest feedback on things, and like to do so. I suppose, if we analyse it, as bloggers, we are probably all a little self indulgent. We did start our blogs after all, because we felt we had stuff to share. Those of us that blog as a lovely hobby, with maybe a few little lifestyle enhancements (items sent to be reviewed, the odd complimentary meal etc) blog on the most part, because it satisfies some need in us. I don’t by any means consider myself an expert, but I do think I have a huge amount of knowledge in skincare for example, (it is my job after all, and Iv spent 20 years working and studying skin). However I would hope that I never come across “preachy” and I do reserve the geeky, nerdy side of me that gets passionate about skincare ingredients, treatments and skin conditions for my clients in my job. I keep it toned down on here people! I do feel as a lifestyle blogger I have a slightly easier ride. I am not a fashion blogger, so photos of me are not really required (thank god) so I am lucky that I can get away with just posting a photo of me occasionally, just to give my feed some personality. I think the fashion bloggers get a much harder time on that front. They tend to feel the responsibility to post a photo of themselves daily. Imagine that, 365 shared images of your face! That in itself sounds pretty self indulgent and vain when you think about it dosent it? But is it??? More confusingly, more often that not, many bloggers claim to be “shy” or “introvert” (I think many writers have this personality trait). Does this claim of shyness amongst the selfies, confuse people and help fuel the way people think we bloggers are insincere? If we look at it objectively, and from a non-blog point of view, if you are posting a gazillion photos of yourself online, for all to see, can that ‘shyness” claim even be the truth? You can see why people may think differently. (For the record, I actually think it can be true. I struggle with posting photos of myself due to confidence issues, yet I do still post one now and again). I have told very few people amongst my friends/family that I write a blog. I think initially, because I felt self conscious that they would think “ark at her”, and mercilessly take the mickey out of me. (my family banter for sport) I suppose I did feel a little embarrassed. Why? In part, perhaps because of the ways bloggers can be viewed. Iv got better now, but still never put anything related to my blog on my personal facebook or Instagram accounts. So, what do you think? Have you ever encountered any negativity towards writing a blog? I think to write a blog, to put ourselves out there for others to read, means we all have a little bit of self indulgence about us, but is that always a bad thing? We are writing to satisfy some need, so that is in itself self indulgent, but why is that negative? Do I think that my opinion is valid? Well yeah, I suppose I do. However, if something features on my blog, its because I have road tested it fully and have fallen in love with it. I want to share that with the lovelies that follow my blog, exactly the same way I would talk to my friends about something amazing I have found. Not because I think I know it all, but because I have purchased something, (I do feature stuff gifted to me occasionally, but my opinion is still an honest one) think its amazing and want to share it with my online buddies. Im not telling you all you must buy it, but I am sharing because I think it is worthy of you hearing all the details of it. We are all just sharing the love eh! I really hope this post is coming across the way I hope it will. 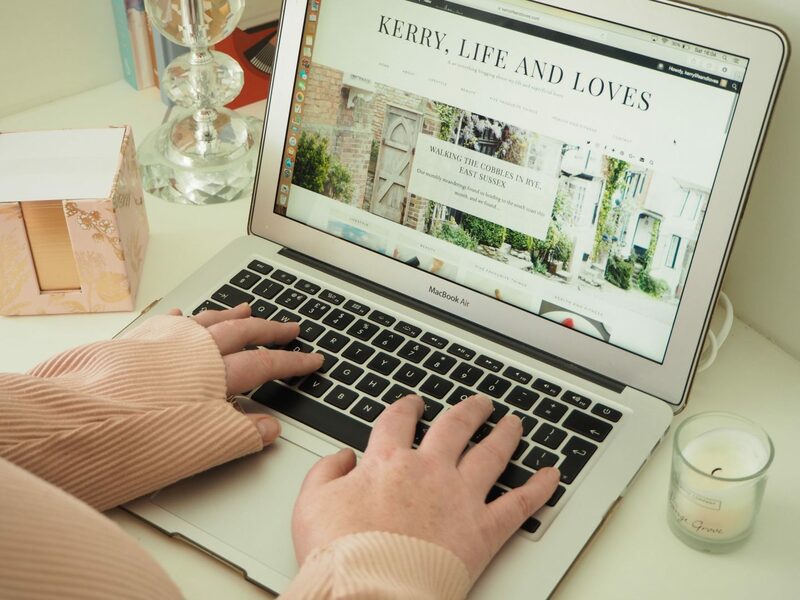 I think you all know by now, Im passionate about the blogging industry, as a reader and a writer, so feel a little defensive of it and the way bloggers are viewed! Id love to hear what you think? Do you think we are we seen as self obsessed know it all’s? Do you think the negative view people have of bloggers is unfair? Have you told your friends/family about your blog? Why not if not? Do we have a slight self-indulgence that needs to be indulged? I would love to hear what you think about this perhaps, slightly controversial subject? As ever, grab a cuppa, lets chat. "45 Facts about me (on my 45th birthday)"
"Revisiting or Setting New Goals – Working out my Shiz!" I Felt way too nervous/self conscious for ages to tell anyone about my blog, I’m not sure why or what it was but just like people were going to take the mick out of me or something. I always love these posts Kerry, something to think about everytime. It is so weird being a blogger and being part of the community, I do think sometimes it’s important to step back and see how it’d look from the outside. I think we can come across as a bit self indulgent or know-it-all-y (idk haha?) sometimes but I know for myself that’s never been my intention or what I have wanted. I don’t see sharing your passions as being self indulgent. What I call real blogging is what you do when you write because you want to share your passion, simply for the love of sharing (then if it helps you earn money is another story), and that’s just a nice way of sharing your interests with other people online. I don’t think that’s being self obsessed. I know that I’ve always had different opinions about this than others. I don’t think it’s weird to want to put yourself out there. I liked the old school blogging trend. I loved how you could connect with people through blogs, because what they wrote was real stuff and you could see their personality and get some insight in their life and opinions about things. I loved that. But everything has become crazy since people started being able to earn money from blogs. I joined some blogger groups on Facebook but quite soon left because the people there just drained me from all inspiration to blog. I came across tons of people with this attitude: “I want to start a blog. But what should I write about?”. What? Why even think about starting a blog if you have no idea what to write about? You only want to earn money? Get a job. Now when it comes to the know-it-alls and self proclaimed experts.. it can truly be dangerous. So called health bloggers rule the world these days and trigger a lot of dangerous trends. I will stop there, otherwise people are going to hate me. I still like your blog though, although you promote products, because you seem to do it genuinely. And – I also promote products on my whiskey blog. It’s all about HOW you do it. Sorry if I wantered away a bit from your original topic! I don’t mind that people earn money from their blogs either, but I really wish there were more.. subtle? ways to do it. So many blogs nowadays seem as you say, like people sold their souls. I’ve seen many blogs start out like really nice blogs, but then the blogger wants to earn money and the content changes and the blog becomes uninteresting because what made me like the original blog isn’t there anymore. I really think that blogging should come from an interest to actually share something, (no matter if you blog for money or not) not from only the wish to earn money, otherwise what made blogging blogging is totally gone. Another thought-provoking post from you! I love the way you really take a topic apart and ask questions. Firstly, I’d love to see more of your geeky side in skincare posts. The science and ingredients interest me, but I’m no expert and I’d love to learn more from someone who works in the business. I think it depends on what kind of blog you have. My business blog about language learning is a bit different – I’m writing posts related to my line of work and I do want people to learn from what I’m sharing. Unseen Beauty is something else – it’s just a place for me to share the things that I love, or don’t love! I don’t think I’m an expert, but if I can help people to discover new things, I’m happy about that, because I take inspiration from other blogs as well. I find it really hard to write personal posts, although the one I wrote about my dog got a lot of love, so I do understand that readers often want to get to know you, which is tough for people who don’t usually wear their heart on their sleeve or share their secret thoughts! I can’t take selfies because I can’t see whether I’m even in focus, and I would feel weird about saying “hey can you take a picture of me” all the time, so you don’t see much of my face on the blog either! Basically I think it all comes down to the vibe that you give out on the blog. Some people are clearly all about themselves, what they’ve been sent, what we should all run out and buy, how amaaaazing their life is, and for me, that’s a turn-off. But nice, genuine, friendly people writing about things that they want to share is a great thing, and I love visiting this kind of blog! Oh Kirsty you have made me happy wanting to see more of my nerd side haha! I do have a couple of posts in my drafts that explains a few things about skincare. You may just have given me the confidence to post them! Im the same as your unseen beauty, my blog is my fun, my outlet, my little space to write, and I love it for that. I do love to share products that I have loved, but would hate to come across as a salesman as that is not what its about at all. I personally loved your post about your dog, (as i enjoy all of your posts) and I agree, people love to see some of the inner workings of the person writing the blog, but its hard if you are not naturally like that. Funnily enough, I have become less guarded and more of an over sharer since writing my blog haha! maybe I should reign it in. I also enjoy blogs that give me something to think about, not just buy this buy that. I seem to have a weird obsession with travel and interiors blogs at the moment too! Thank you so much for visiting, and I really appreciate you taking the time to leave your input. I blooming love all the opinions and views that people share.